Since 2015, COTCO has installed thousands of brightly painted concrete pillars at key points along the pipeline route in Cameroon to demarcate the boundary between the right of way (ROW) and privately owned properties or land used by villages. The markers are installed to help manage the increased number of interactions between the pipeline ROW and third-parties. While these interactions are an indicator of the growth and development happening throughout the country, they can also pose risks to the integrity of the pipeline unless managed properly. COTCO accelerated this program in 2016, contracting with Locally Formed Organizations (LFOs) representing 31 villages to provide 300 workers to fabricate and place the markers along the pipeline. By the end of 2016 the project had installed 5,800 markers over 65 kilometers of pipeline. Generally the markers are installed near major cities and towns and other third-party construction projects, as these attract people who want to be near a potential business opportunity. Working directly with the LFOs ensures that local communities benefit as much as possible from their proximity to the pipeline. Under this arrangement, COTCO provides the specifications and training to ensure safe and effective fabrication and installation, and the work is then managed by the local LFO. This is one of several steps the project takes to mitigate the risk of interactions with third parties that threaten the integrity of the pipeline. For more information on how COTCO is working with local communities and their LFOs, review our Economic Development section. Photo — In addition to grass cutting and other maintenance and monitoring activities that ensure the pipeline integrity, a local organization in Yebi (near Pump Station 3), like groups in many other villages along the ROW, is manufacturing and placing ROW boundary indicators. Successfully managing the increasing number of interactions between major construction projects in Cameroon and the pipeline is a constant challenge for COTCO, which must protect the integrity of the pipeline and its adjacent environment without constraining additional economic development in the country. With the Lom Pangar Hydroelectric Dam Project and the first phase of the Port of Kribi construction nearing completion, 2016 saw construction move forward on another massive project, a 195-kilometer highway linking Cameroon’s national capital Yaoundé and its commercial capital Douala. 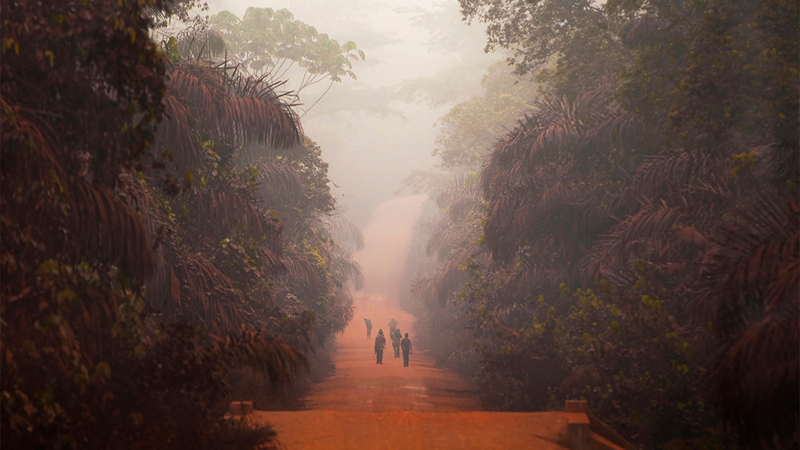 The route chosen for the highway crosses the pipeline several kilometers outside of Yaoundé. Well before breaking ground, the Cameroonian government and COTCO worked with the Chinese construction company to develop a solution that would allow the highway to safely cross the pipeline. Elevating the highway above the level of the pipeline and over a steel-reinforced concrete housing (pictured) will give COTCO access to the section of the pipeline that crosses under the highway. EEPCI significantly reduced the amount of waste generated and accumulated in Chad in 2016. This was partially due to the suspension of drilling activities, which generated waste that was processed or stored at project facilities in the OFDA. However, EEPCI’s support of Chad’s first industrial waste treatment company, SOTRADA, led to a significant reduction of hazardous waste in 2016 that had accumulated over a number of years. With support from its first customer EEPCI, SOTRADA was able to meet internationally recognized standards to manage waste, whether through recycling, incineration or landfill. 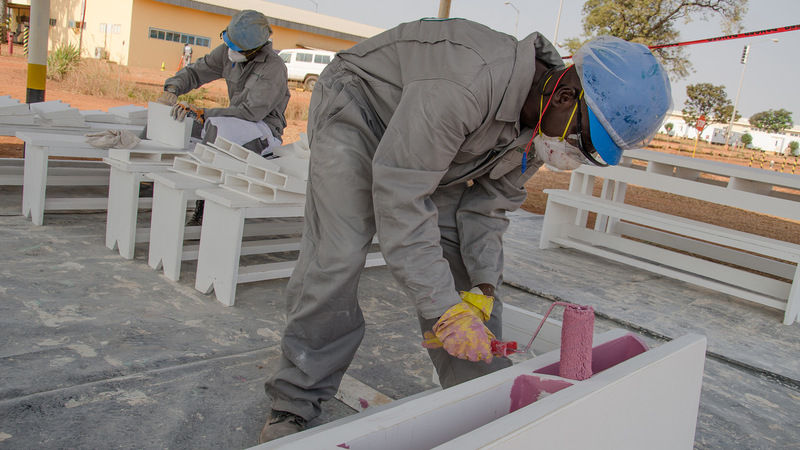 SOTRADA’s success has created a new industry in Chad, an example of EEPCI’s contribution to the local business environment. 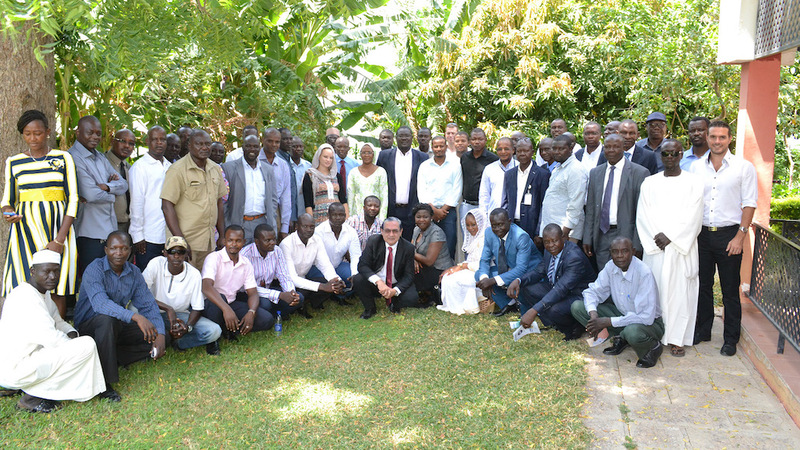 Since 2015, EEPCI has been working with the Chadian waste management company SOTRADA to treat its industrial waste. EEPCI has worked extensively with the company to support the growth of this local business and ensure the company developed the requisite expertise and capability to meet international standards for responsible management of industrial waste. Resulting from this successful partnership, EEPCI has been able to significantly reduce its backlog of waste. The table below shows the significant reduction in waste generated by the project and also the reduction in accumulated waste at the project’s Komé Waste Management Facility. The project’s multi-layered approach to safety led in 2016 to the best record in the history of the project. COTCO and TOTCO have not had a reportable injury in over two and a half years, and EEPCI experienced only one recordable incident — a dog bite. The Cameroon Ministry of Health credited a new addition to COTCO’s public health programs with saving the lives of 59 snakebite victims.